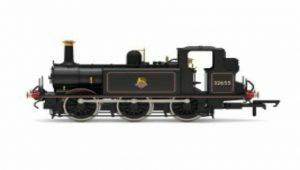 The LNER 4-6-0 Class B was Edward Thompson’s standardised, two cylinder, mixed traffic answer to the GWR’s Hall Class and the LMS Stanier Black Five, designed at a time of even greater austerity for the company. With Nigel Gresley’s sudden death on April 5, 1941, Thompson was promoted to post of Chief Mechanical Engineer and immediately set about standardising locomotive design, a programme that has divided opinion amongst enthusiasts ever since. 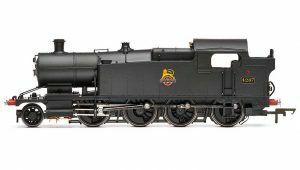 The Class B design satisfied the LNER’s (and the nation’s) wartime requirement for a cheap, easy to maintain locomotive and by the time that the first locomotive, 8301 Springbok, entered service, the class had been re-designated as B1. 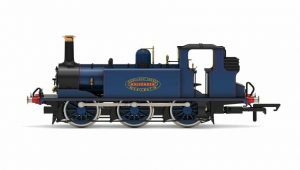 Intended to replace all of the LNER’s 4-6-0s (excluding those replaced by the Pacific Class), all of the heavy 4-4-0s, the D11s, the D49s, the passenger Atlantics, the K2s, the K3s, the J6s, the J39s and other high speed 0-6-0s, the result was that most of these replacements were achieved, testament to Thompson’s standardisation process. The B1 was to become his most successful design, with 410 being built under LNER and British Rail. Existing patterns, jigs and tools were used in the construction of the B1, as well as the Diagram 100A boiler from the B17, with minor adjustments to the grate area and boiler pressure, being used. 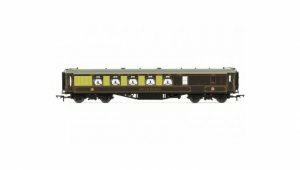 With the addition of the K2 Class cylinders and the V2’s coupled wheels, the result was a powerful engine with great starting power and good hill climbing characteristics, making it ideal for use right across the LNER’s network. Built by the LNER’s Darlington Works under Works No.2012, Stembok entered service on August 7, 1947 as LNER No.1032 and was initially allocated to Stockton Shed. During a scheduled Works visit on December 15, 1949 Stembok was renumbered under British Railways as No.61052, but stayed at Stockton until 1959, when the locomotive was transferred to 51L Thornaby Shed. Allocations to 51A Darlington and 50B Hull Dairycoates followed, from where 61052 Stembok was withdrawn on November 27, 1966.